If the power fails at your business premises, you’ll want to be sure your emergency lighting is working properly. Without it your employees and visitors could be at risk in the dark and unable to find corridors, stairs and exits. Non-maintained - your emergency light units only come on if there is a mains failure. Maintained – the units are on all the time using the same lamps for normal and emergency operation. Sustained – Two sets of lamps are used, one operating on the mains supply while the other set uses a battery supply if there is a mains failure. If you have a central backup system then the indicators on the supply unit should be visually checked every day. All emergency lighting systems should have a short functional test every month that is long enough to check all the lamps without causing damage. You should also have an annual test for the ‘full rated duration’ of your emergency lights (for example, three hours). Your emergency lights must still be working at the end of this test. If anything isn’t working it will need to be repaired as soon as possible by a qualified person. 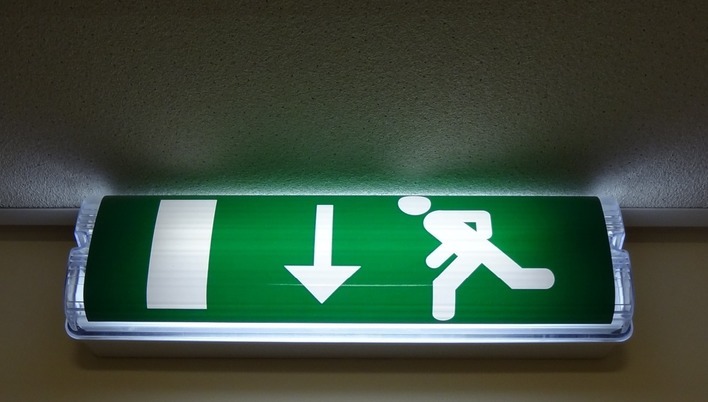 • If you are having any remodelling work done in your premises you will need to check whether moving doors or walls will affect your emergency lighting. • When you complete your annual test you will need to make sure that batteries have fully recharged before you let people back into the building or you will be breaking the law. • You need to include details of your emergency lighting tests as part of your fire risk assessment. • If your emergency lighting isn’t compliant the penalties can be serious (imprisonment and large fines), so it’s important to take advice from a qualified professional. If you would like your emergency lighting tested or reviewed, please get in touch.